We are going to Japan for 3 weeks in the beginning of April and would like to spend a couple of days in Seoul. How do we get there? And how expensive is the ferry from southern japan to Busan in South Korea? 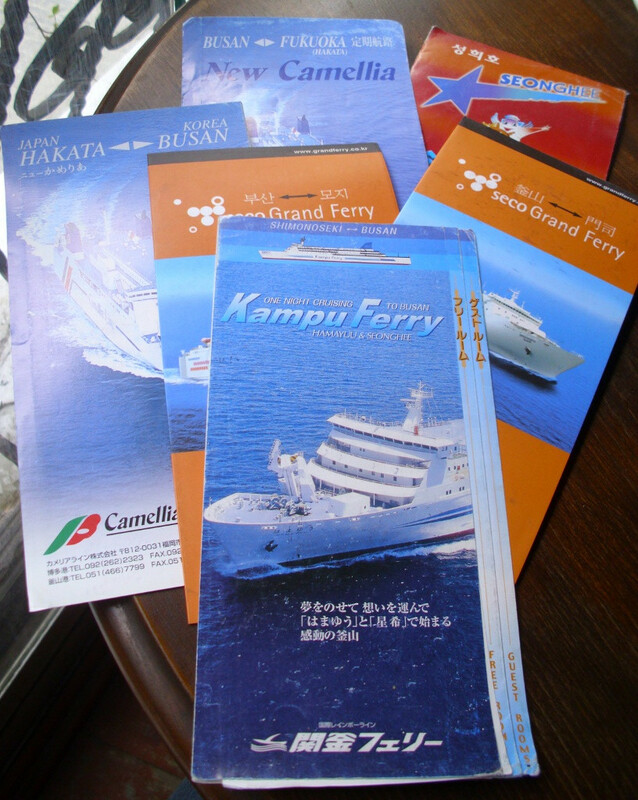 You have asked at the right place because I happen to have six brochures with me all about ferries between Japan and Korea and I've done this very trip six times and used most of the ferries at least once! User humphreyb has already told you all about the fast hydrofoil ferry, so I will concentrate on the other (overnight) ferries. Both ferries still in operation only have sites in Japanese and Korean but there are some indirect sites with English. Don't worry, you can get your hotel or hostel in either country to call them and there have always been English speakers at the ticket windows when I've gone there. Why would anyone choose the slow ferry when the fast hydrofoil is only $30 to $40 more expensive? The hydrofoil is noisy and you must remain in your seat. There is a movie but you can't hear it and may not even be able to converse easily with your travelmates. There's not really a view from the windows since they're obscured by spray. The hydrofoil has no atmosphere. You will not meet anybody. 2nd class ferry accommodation is dormitory style. You will at least meet the other people in your cabin. I generally make at least one new Korean or Japanese friend each crossing. Often they insist on buying me dinner or beer! Even if you're in a dorm sleeping on a Korean yo on the floor, it's super comfortable. I always sleep like a baby. But you might want to bring earplugs in case somebody in your cabin is snoring. You can walk around above deck and take photos. The views going through the Kanmon Strait in Japan can be very very nice. You can pay with credit card for the ticket in either country but there will also be some annoying terminal fees which must be paid in cash! I have been caught out twice and had to run around looking for an ATM! I believe all the ferry terminals have a currency exchange with fair rates. It is very wise to have some currency ready for when you arrive at the other side since credit cards and even ATM cards have some unexpected problems in both countries. I once had to walk from the Hakata port to downtown Fukuoka because I couldn't get bus money! You will often see Hakata, which is the name of the port of Fukuoka. As far as you are concerned they are the same place. Shimonoseki is small and only has one name. Fukuoka is about 100km further south than Shimonoseki, so further away from Tokyo if that's where you're coming from / going to. Fukuoka is a very green city by Japanese standards. It has many parks and also some very interesting buildings including the ACROS building that looks like a hill with trees growing right up the side and a path you can walk through it, and Canal City which is a shopping and entertainment centre with a canal running through it. Shimonoseki is very small and feels quite poor for a Japanese city. There's not much choice of places to stay or eat. But if you are a fan of sushi or Japanese cuisine, it is the number one place for fugu (pufferfish) in all Japan and is famous for this throughout the country. The travel time is much shorter than the time passengers must spend on the ferry. For some reason passengers must board hours before departure and remain on board for hours after docking! There are lots of vending machines but you can't change money on the boat. Most passengers are Korean and the operators are also Korean I believe. But I seem to recall that some of the boats only accept Japanese Yen in the vending machines. Others may accept only Korean Won. No ferry accepts both types of coins. On some SeongHee ferries you can change currencies over the counter, though the rates are not really reasonable. There is a restaurant on all ferries with fairly reasonable prices and open for dinner and breakfast. This ferry runs out of Hakata, Fukuoka in Japan, the same terminal as the place the hydrofoil runs out of. It runs out of Busan, South Korea, the same as all other ferries to Japan. Boarding time: 11:00am to 11:40am at Fukuoka, 19:00 to 19:40 (7pm to 7:40pm) at Busan. Travel time only: 6 hours ?? NOTE both the brochures and the websites differ on the Busan to Fukuoka details between the Japanese and Korean versions! There are also other classes, including private rooms and suites but I can't translate. This ferry runs out of Shimonoseki, Japan. It runs out of Busan, South Korea, the same as all other ferries to Japan. Boarding time: 18:00 to 18:20 (6pm to 6:20pm) at Shimonoseki, 18:30 to 18:50 (6:30pm to 6:50pm) at Busan. Departure time: 19:00 (7pm) from Shimonoseki, 20:00 (8pm) from Busan. Arrival time: 08:00am at Shimonoseki, 08:00am at Busan. You might be able to get a student discount at the counter. Korea has several levels of train service and the slowest ones are much cheaper but still very modern and comfortable and still pretty quick. The ones I noticed going to Seoul last time I was in Busan were KTX, Saemaul, and Mugunghwa. But you might find the other types also when you get there. 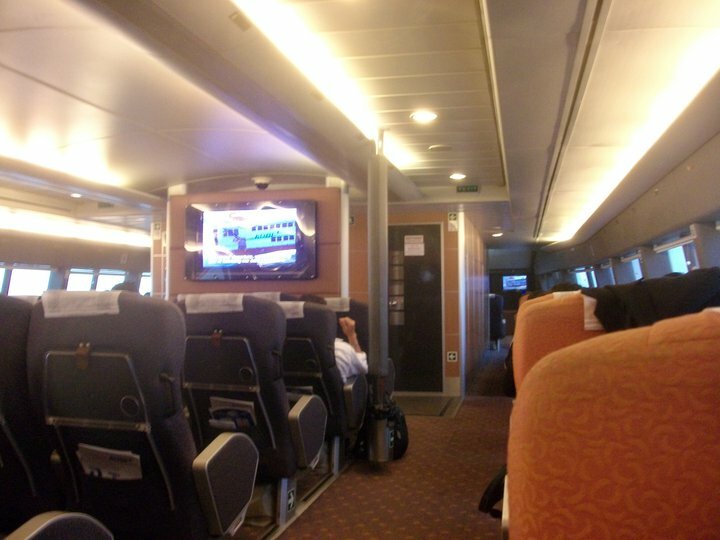 The various kinds of trains have different ranges of classes which may includ unassigned seating tickets as the cheapest option. I always take the Mugunghwa as it's cheap even on a backpacker budget, I'm usually not in a hurry, it's comfy enough to fall asleep on, and it's not any slower at 5 hours than the Saemaul. Both Shimonoseki and Fukuoka are well connected by train to all of Japan. 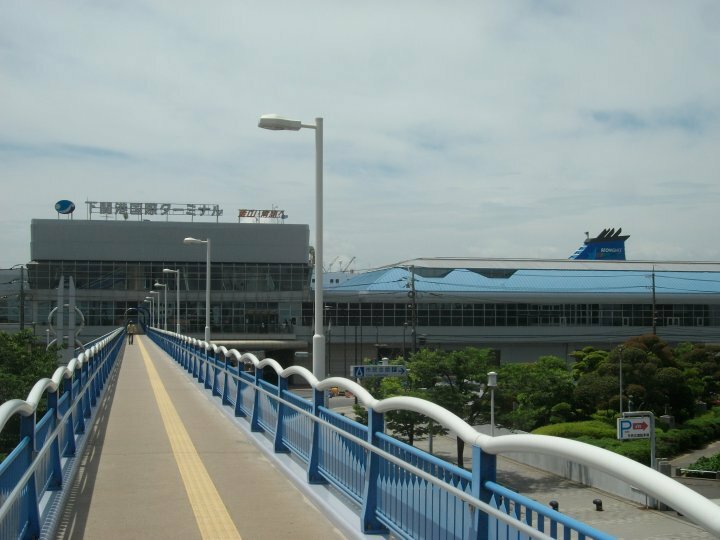 There is a short walk between the Shimonoseki terminal and the train station, mostly on an elevated walkway. You might want to take a taxi if you have lots of luggage. There is a bus connection between the Hakata/Fukuoka ferry terminal and downtown Fukuoka. You will need Japanese cash for this bus! Beware that Fukuoka has two centres so make sure you know where you're heading depending on whether you're staying there or going straight to the train station. If you follow some of the links above you will see also ferries to Osaka but they take more time and seemed to be less regular, more like cruises, more "romantic", and harder to work out the exact details for. You can get a Hydrofoil between Fukuoka and Busan. It costs 13 000 yen per adult one way and takes about three hours. A few leave each day but you will need to book ahead. You book online and when you check in you'll need to show the credit card you used to pay for it, or some other proof of purchase. There is also a 1 500 yen 'fuel surcharge' payment when you check in. I took one three years ago and had no dramas. However I had to book months in advance as it was the holiday season. You can also get a ferry from Shimonoseki to Busan. It's a bit cheaper, however it is about 10 hours and the website isn't in English. 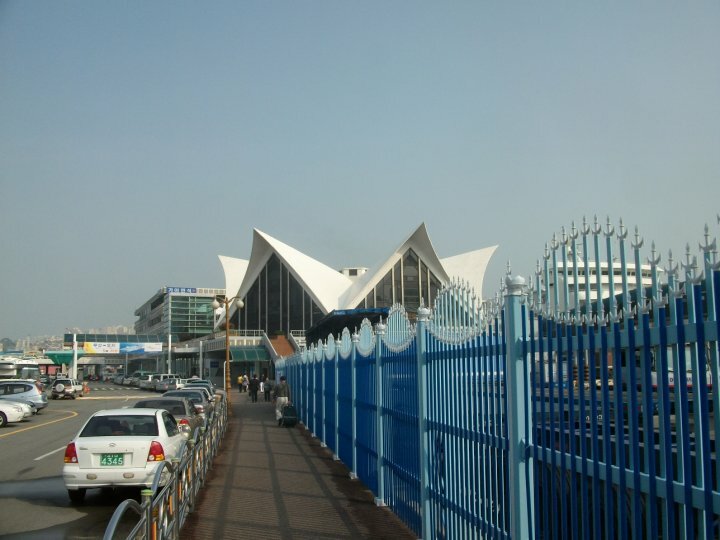 Once in Busan you can get to Seoul by taking an 'Express Bus'. They are very cheap and run frequently. No pre-booking is required. here is a transportation tip in Korea. If you are planing to visit Korea from Japan by ferry, and move to Seoul area from Busan, taking KTX(train) is better than taking a bus. You can save your time and KTX is the fastest way from Busan to Seoul. Seat is convenient and you can buy some food in the train. Also if you are with friends you can buy a save pass too. If you have this pass, you can take any KTX everywhere you want to. 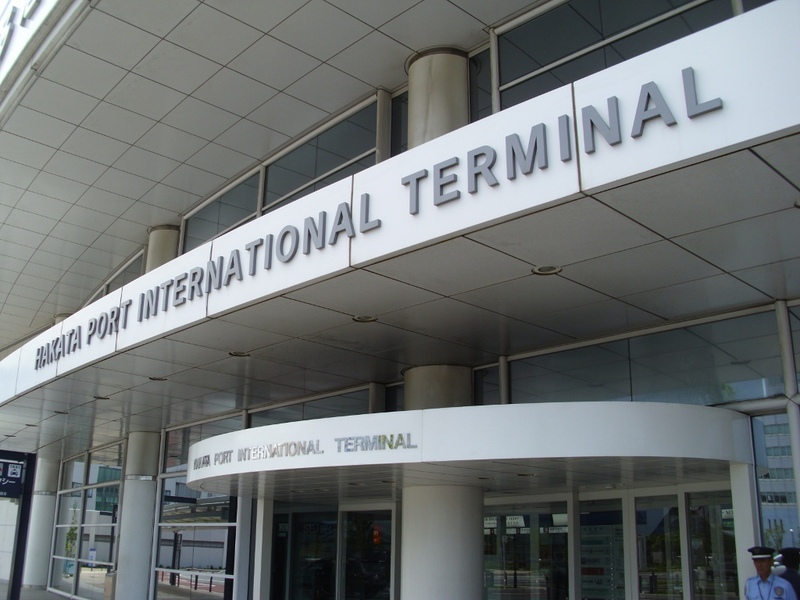 And there is express train between Seoul station and Incheon International Airport so if you are going to the airport, you can take this train. Thanks. Not the answer you're looking for? Browse other questions tagged transportation japan ferries asia south-korea or ask your own question.